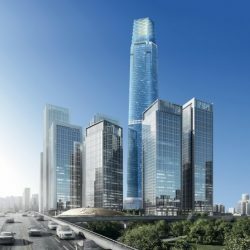 THE Malaysian capital is expected to become the biggest office space market in Southeast Asia despite a cooling economy that is tipped to affect the region this year. 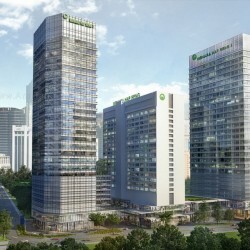 Property consultant Savills Malaysia said office rentals in the Greater Kuala Lumpur area, the expanse of urban areas that stretch beyond the city centre to the Klang Valley, were likely to remain weak but will see demand from the IT industry, co-working operators, and the finance sector, among others. “With existing supply of 123 million sq ft, we are getting very close to Hong Kong’s 127 million sq ft. The additional 20 million sq ft due for completion by 2022 will put us in the lead, and it could happen this year,” Savills Malaysia executive chairman Datuk Christopher Boyd said, as quoted by The Edge. The city’s retail sector is expected to show resilience, especially in beauty and wellness, accessories and the niche grocery trade segments, based to the performance of the retail market in the fourth quarter of the year, Boyd said. “The major malls will still see strong sales turnover and footfalls. We also foresee that the next generation of super-malls, such as The Exchange at TRX (Tun Razak Exchange) and Pavilion Damansara Heights, will rapidly become major retail destinations when they are completed post-2020,” he said. However, Boyd said residential property value is expected to slide before gradually improving. “Ultimately, Greater KL will recover first, followed by Penang, and then Johor,” he said, referring to two other major urban centres in the country. Boyd pointed out that there were currently 245,000 new residential units under construction in Greater KL, while Penang was seeing an estimated 55,000 units being built. In Johor, 108,000 units were currently under construction, he said. “This means that supply of residential units will grow by 10 percent to 12 percent in the next couple of years,” he opined.